PEL stands for Pak Electronic Limited and it has announced PEL Pakistan Summer internship program. PEL is one of the best and leading electronic companies, which is the pioneer of electrical manufacturing in Pakistan. 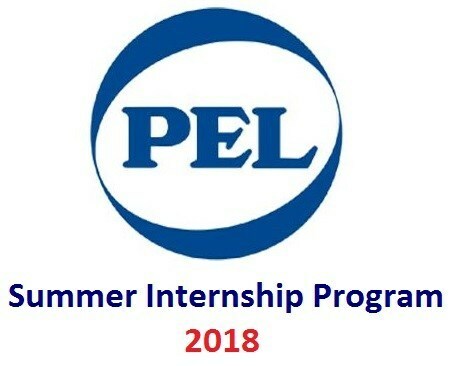 PEL has offered the summer internships every year for young and talented graduates of Pakistan. it is the best career oriented opportunity for you and the reasonable stipend is awarded to the students during this process. You can get the detailed information for latest summer internship program 2018 and the applying procedure and the deadline and the field, in which they offer internship program are given in detail. You need to read the article for the PEL Pakistan Summer Internship program 2018. Account and Finance, Audit, Electrical Engineering, Mechanical Engineering, Industrial Engineering, Mathematical Engineering, Manufacturing Engineering, Electronics Engineering, Customer Services, Sales Marketing, Human Resource, International Relations, Administration, Business Development, Health and Safety, Graphics Designing, Imports, Information Technology, Logistics, Supply Chain and Quality Control. 4 weeks project based in Lahore. The interested candidate must be 3rd or 4th Year Student in any discipline from an HEC recognized institute. The candidates must have 3.00 CGPA. The eligibility also based on the well maintains the character and professional aptitude as well. 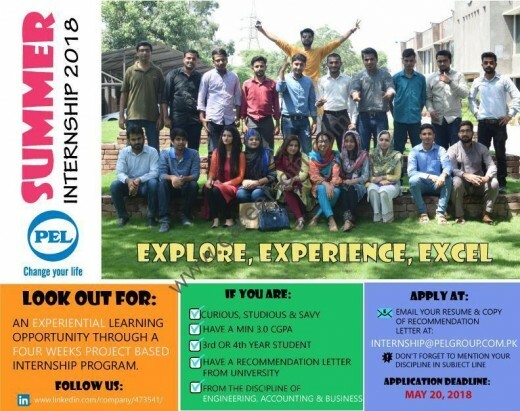 All interested and eligible candidates are requested to apply for the PEL Pakistan Summer Internship Programs 2018. All interested candidates are requested to apply through application as soon as possible before the due date. The interested candidates are instructed to submit their CV and one Recommendation Letter from the University to following email address must mention the subject line. Mention Your Discipline in the subject Line. The email is INTERNSHIP@PELGROUP.COM.PK. You should avail this opportunity without any hesitation! Stay connected with us for further related information and material.